Idea of creating a platform for welfare entities at national/international level was envisaged by Naim un Naseer Welfare Trust during the 2010 floods to synergize the scattered potential of social sector channelizing organized and unified response. Similarly, Pakistan is shadowed worldwide as a loan seeker state where as every year carries out an outstanding welfare projects both at national & international level alleviating sufferings of humanity. Highlight Image of Pakistan as donor state serving international humanitarian concerns based on facts, remains one of paramount objective of TABA. It is worth appreciating that multiple Trusts/ Welfare entities are fully committed for welfare of affected/ deprived brothers & sisters of Pakistan. All Trusts/ welfare entities do their best in the time of need but due to lack of coordination/information, stay staggered & in isolation. To bridge the gaps, NNWT arranged convention of All Pakistan Welfare Trusts on September 22nd, 2010 where more than 60 welfare organizations& people from different walks of life participated, unanimously the project was named TABA (وَتَعَاوَنُوا عَلَى الْبِرِّ وَالتَّقْوَ ى). TABA members help promote education and literacy to the under privileged. 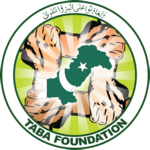 TABA Foundation has always provided active support in disaster management and rehabilitation. TABA Foundation regularly conducts Health Camps in remote areas of the country. TABA Foundation’s Health Cluster, led by Dr. Izhar Hashmi (Director Akhuwat Health Services), arranged the first ever joint health camp in collaboration with 10 welfare organizations and Rescue 1122. The camp was held at Village Khurram, 3 kms of the Indian Border, in Tehsil and District Kasur on 14th April 2013. A-R Cottages, Service Lane Ring Road, New Airport Road, near NetSol, Lahore Cantt.